It’s the start of September and everyone is back from the beach, which can only mean one thing… the sound of 80s cover bands echoing through the hills as the Langhe gets its Sagra on! September in these parts is pretty much one continuous party. Eat, drink, dance, sleep and repeat. Name a food or drink and some town somewhere will be celebrating it. From hazelnuts to Barolo, honey to cooked salami… the only hardship is choosing which ones to go to. So, here is quick guide that I hope might just help. 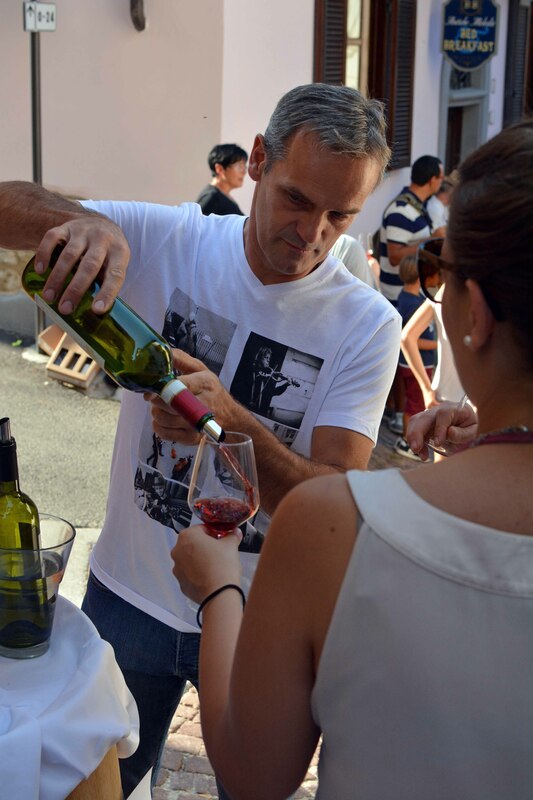 Definitely one for the wine lovers, Degusta La Morra sees dozens of La Morra winemakers setting up stands on the main street, Via Vittorio Emanuele, and offering tastings of all their wines. Pay 10 Euros for a glass (plus the requisite glass holder of course) and you get to walk up and down the street to your heart’s content, tasting some of the world’s best wines and chatting to the people who make them. The beautiful town of Verduno, just a couple of miles from La Morra, has its own indigenous grape – Pelaverga. The wine that comes from it is a distinctive, light red with more than a hint of spices. Often served slightly chilled, it is the perfect summer red. It’s so good, in fact, that it even has its own festival. On the evening of September 6th (yep, the same day as Degusta La Morra… I hope you’re feeling strong!) you can wander around the town sampling Pelaverga from the various producers, fill up on local foods and then dance the night away! For four September days, the entire cheese world (imagine that, a whole world made of cheese!) descends upon the town of Bra for a celebration of all things yellow and stinky. The whole town fills with stands selling every imaginable cheese from all corners of the world. 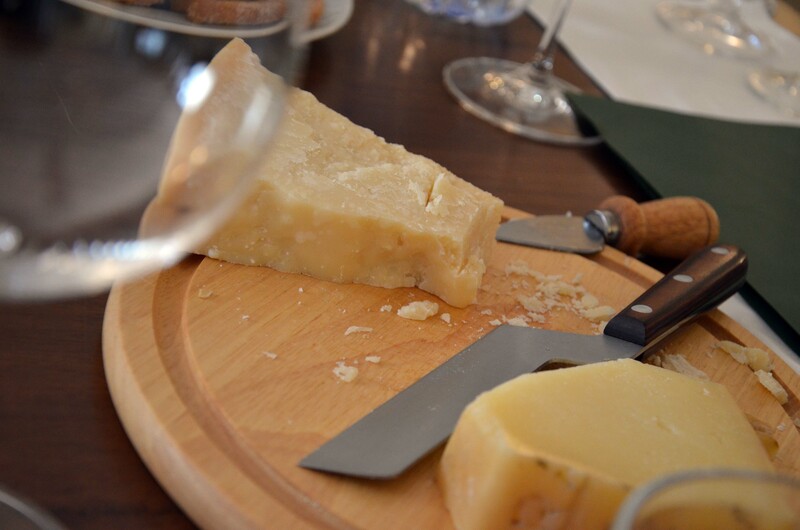 There are guided tastings, talks, pairing events, live music, an entire piazza of beer and whole dinners based around cheese. If you have even a passing interest in formaggio (and who doesn’t?!) this one is simply unmissable! Markets, concerts, dinners, tastings, winery visits, bike rides and walks, it’s all happening in Dogliani from 6th September onwards, and all in the name of celebrating Dolcetto. There’s even a Miss Dolcetto contest! 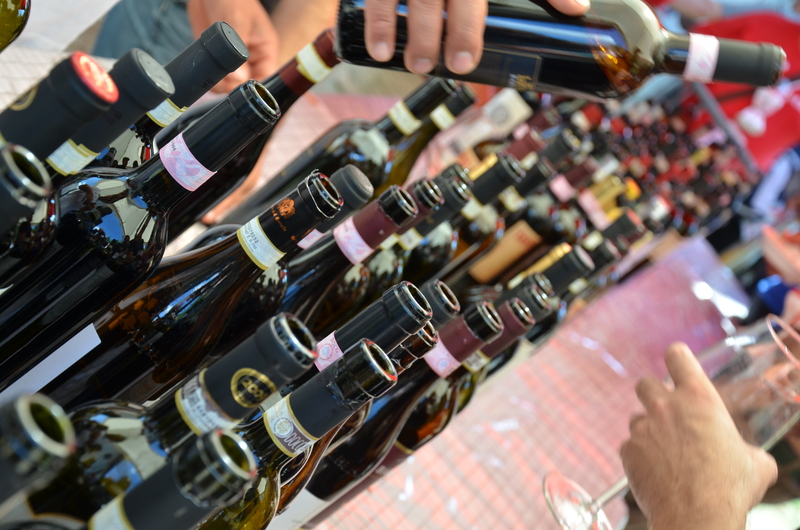 For one day, the centre of Alba will be transformed into one giant wine tasting as the streets are lined with more than 700 stalls offering local wine and food. It’s a celebration of the harvest and of the diversity of the region, but more than that, it’s a unique opportunity to meet so many producers in one place and, of course to try their wines. So, buy a glass and get stuck in! so many feste….so little time. Great! We are on our way down to Murazzano, in France tonight and will set off again tomorrow, lots going on in Piemonte, looking forward to it, like a good festival, especially if there is wine involved! I need to move to the Langhe! ← Check out the house!